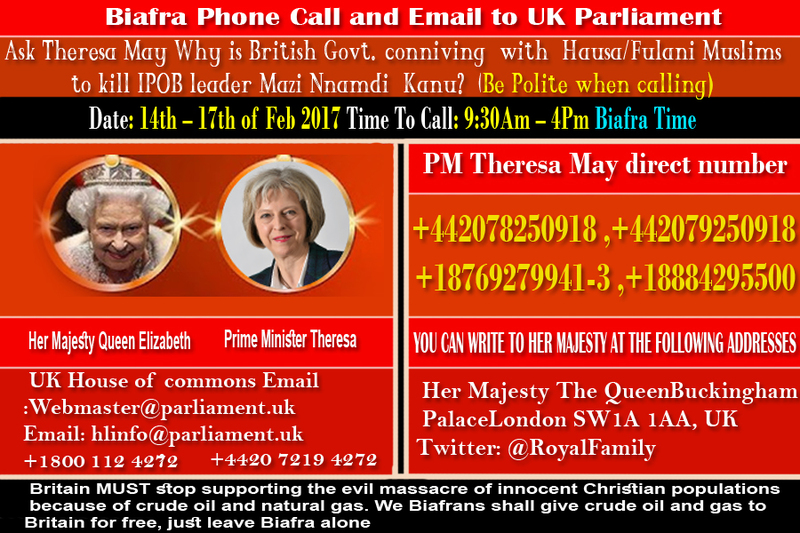 Home Articles Biafra Phone call to the UK Government: Why is British Govt. conniving with Hausa/Fulani Muslims to kill IPOB leader Mazi Nnamdi Kanu? 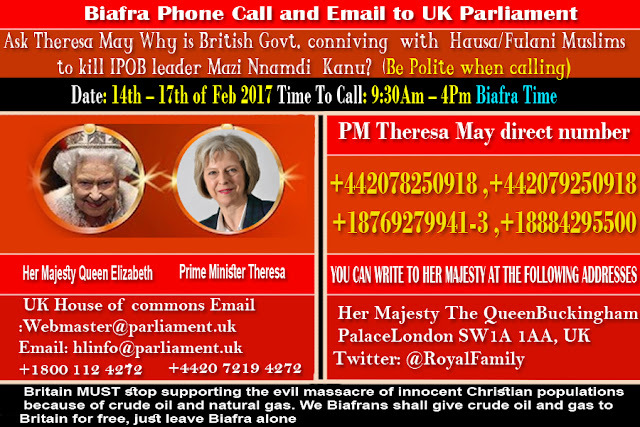 Biafra Phone call to the UK Government: Why is British Govt. conniving with Hausa/Fulani Muslims to kill IPOB leader Mazi Nnamdi Kanu?